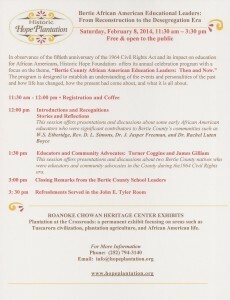 In observance of the fiftieth anniversary of the 1964 Civil Rights Act and its impact on education for African Americans, Historic Hope Foundation offers its annual celebration program with a focus on the theme, “Bertie County African American Education Leaders: Then and Now.” The program is designed to establish an understanding of the events and personalities of the past and how life has changed, how the present had come about, and what it is all about. 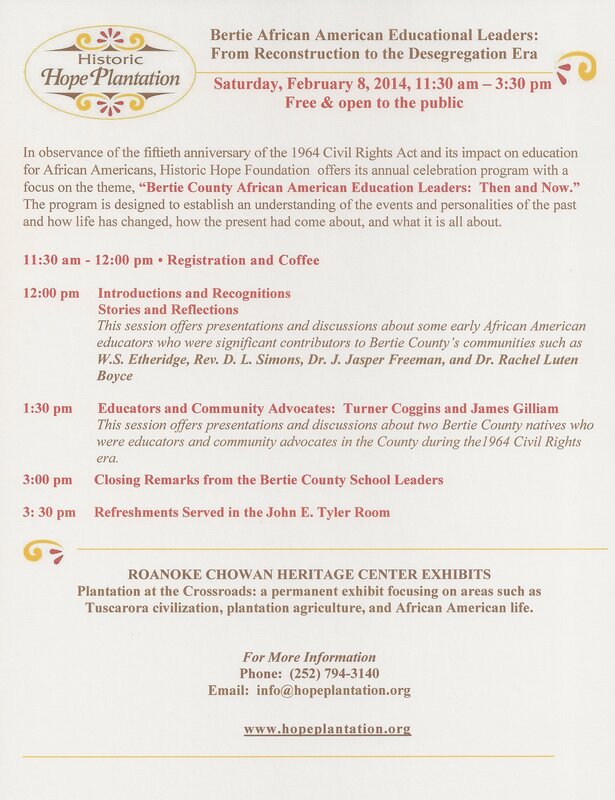 This session offers presentations and discussions about two Bertie County natives who were educators and community advocates in the County during the1964 Civil Rights era. Tuscarora civilization, plantation agriculture, and African American life.